Nails, thread, wood and paper towels might not be the first materials you think of when you want to create art, but for Amanda McDonald, such nontraditional mediums are normal. This attitude can be found in her art as well, as McDonald can be found working with many different mediums throughout her pieces. 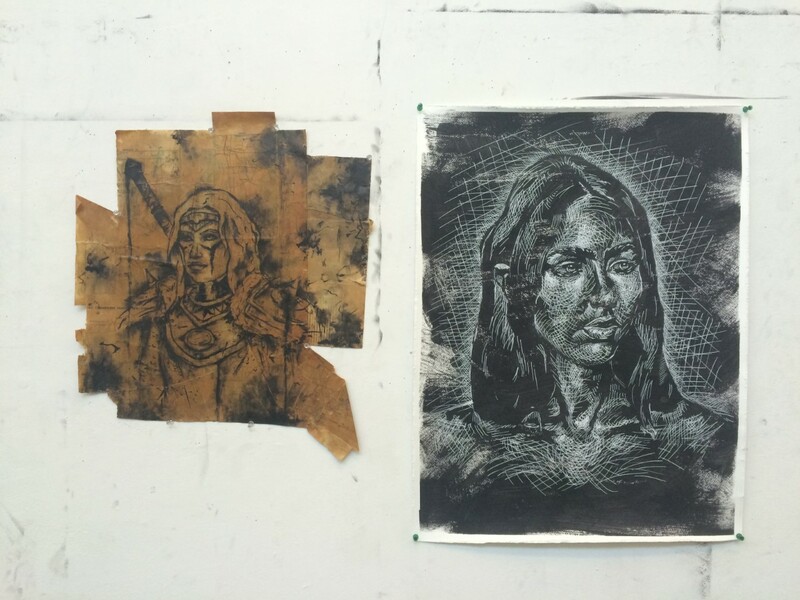 McDonald started working with nontraditional media in her nontraditional approaches to drawing class last semester. She took a spherical piece of wood and hammered nails into the wood before wrapping multiple layers of thread and wire onto the nails to create a three-dimensional tree. This was not her first attempt with such a medium. It was based on a previous project that enlisted more or less the same procedure as the making of the three-dimensional tree. In her first piece, McDonald took two tree stumps, sewing needles and thread to make two complementary foxes on the the two stumps. This is a sentiment McDonald carries with her into her other pieces as she feels she learns something new with every piece she creates. “I think there’s that mentality when you look back at something you did freshman year, you can really see how far you’ve progressed and you kind of cringe a little when you are looking at your old work … but there are a few pieces that I worked really hard on that I still kind of really like,” McDonald said. 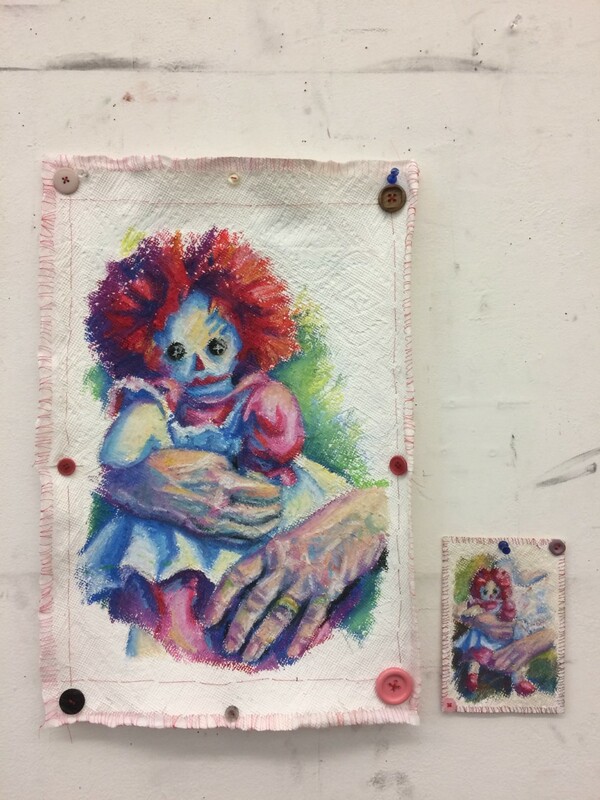 Besides her wood and thread pieces, some of McDonald’s work includes painting her pieces onto paper towels, one of which depicts a woman with her back to a body of water and another which shows a doll with elderly hands holding onto it. McDonald has had one of her pieces shown at the Torpedo Factory Art Center when she took a Comics and Zines class at Mason. 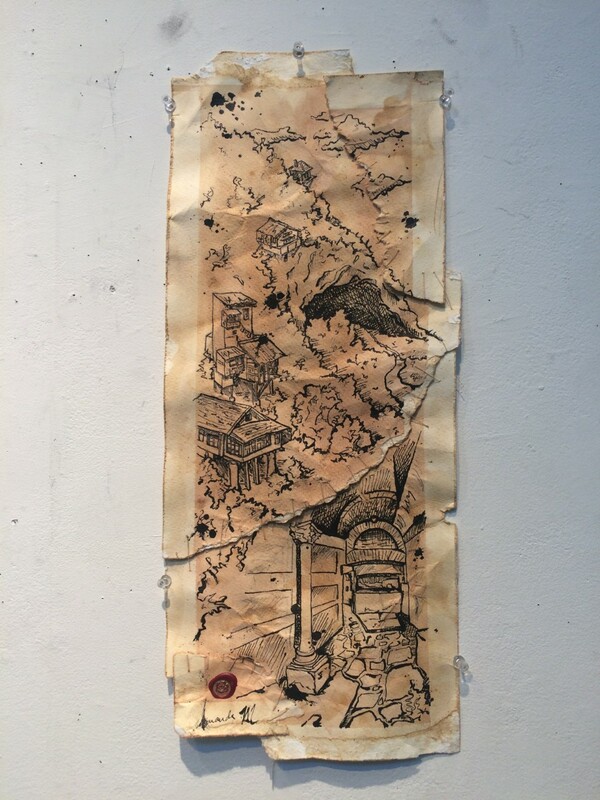 Her pieces could also be found hung on the walls of the Art and Design building last semester, along with the works of other Mason students as well. “One of the best things about being an art major is there is just such an amazing community there like everyone wants to create and help each other and will often give each other advice on projects or like inspire each other and encourage each other to continue to do what we want to do,” McDonald said.